It can’t be denied that the U.S. has some of the most awesome national parks around. If you’re going to have a road trip or bus it around the States – then spend some dreamy afternoons exploring some these eight parks we’ve prepared for you. 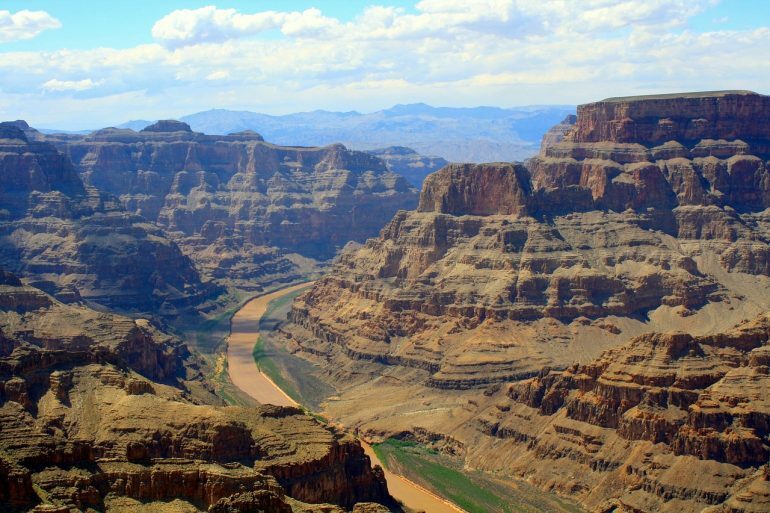 You can’t have a list of awesome national parks – no, you can’t have a list of must-see U.S. landmarks without including the Grand Canyon National Park. No amount of panoramic shots on high-end cameras can truly capture the spectacular depth, color, and layers of the canyon – the dream of every hiker. Grab yourself a couple of bottles of water (you’ll need them), and enjoy stargazing from the innards of this American Colossus. 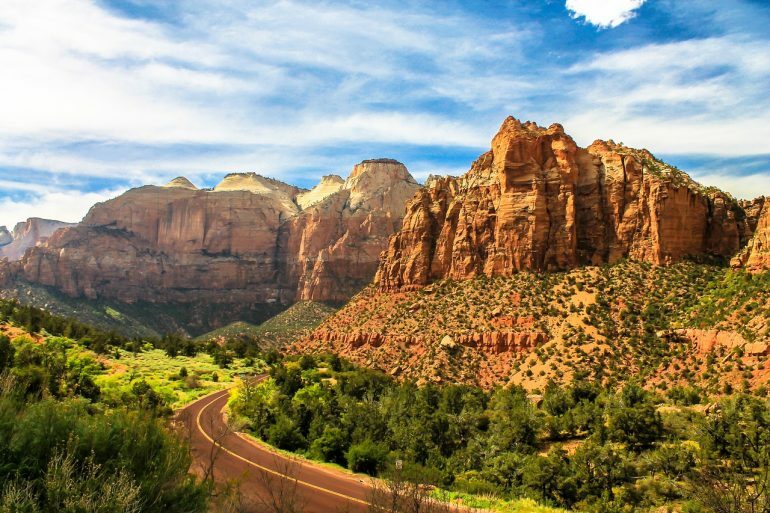 Awesome national parks don’t need a massive distinguishing feature to feel special (like a canyon, humongous trees, or even a super-volcano as we’ll see later on). Just enjoy the untouched beauty of the North American brown bear’s turf, along with the snowy mountains in the distance and blue lakes that will make your eyes glisten with delight. The Valley of Ten Thousand Smokes (the site of a massive volcano eruption over a hundred years ago) is something that you should definitely add to your itinerary. The General Sherman Tree has its residence within the park, a sequoia that dwarfs even the massive Blue Whale in comparison. While the 2100-year old, 83-meter tree is truly a sight to behold, it certainly doesn’t detract from the fact that you’ll be standing in a forest of giants. I mean, they literally named it “Giant Forest” as if we weren’t already aware! To top it all off, further along in Kings Canyon lies General Grant, which is actually the second largest tree in the world after Sherman. While we’re still in California, we thought we’d include another one of its awesome national parks filled with its own set of giants. The redwood trees in the areas are even taller than Sherman and Grant, and can reach impressive heights of up to 107 meters! If you need a reminder of just how small we are in tis world, glance up towards the top of a tree. Finish up with a delicious picnic at the High Bluff Overlook to get a sweeping view of the lovely Cali coast. We mentioned a super-volcano at some point in the beginning, no? Well, we haven’t forgotten about it. 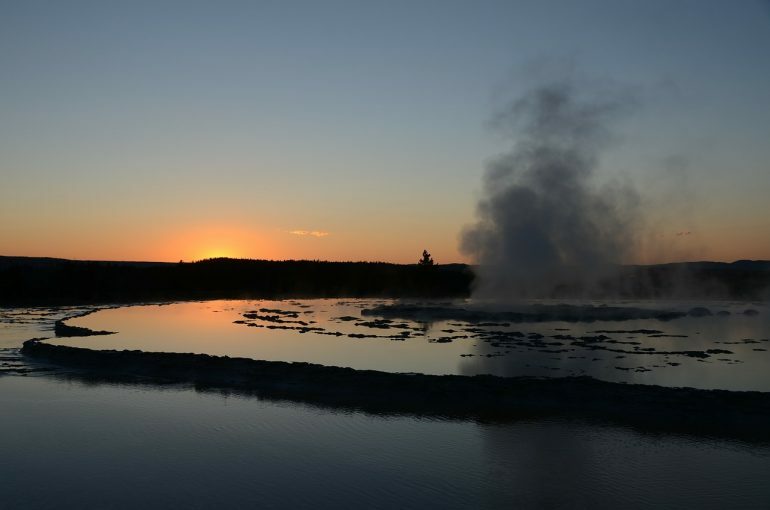 The sixth on our list of awesome national parks holds within it the Yellowstone Caldera, which is basically the mouth of a huge volcano (think in terms of tens of square kilometers!). Don’t worry, though. This thing hasn’t erupted in about 640,000 years (though leave it to tabloids to assume every other earthquake coming from the area is a doomsday scenario). However, Yellowstone does have cool erupting geysers (two-thirds of all geysers in the world, in fact). This includes the world-famous Old Faithful which can blow its lid up to 52 meters in the air! Aside from the angry, over-sized water fountains, you have a variety of beautiful hot springs scattered across the park. They almost look like the eyes of ancient creatures buried just beneath the ground. The Grand Prismatic Spring, in particular, holds true to its name and is a rainbow of delight to look at. We’ve written about stunning forests before, but aside from the Crooked Forest in Poland, we don’t think we’ve seen a weirder one than this. Stepping into the National Park, you get the feeling that you’ve landed on the Moon after a giant hand splashed a dab of blue paint onto the landscape. We’re talking, of course, about the Blue Mesa section of the park. After soaking in the view from the mesa, head over to the Jasper, Crystal, and Rainbow Forests (no, you’re not heading into a fantasy adventure). 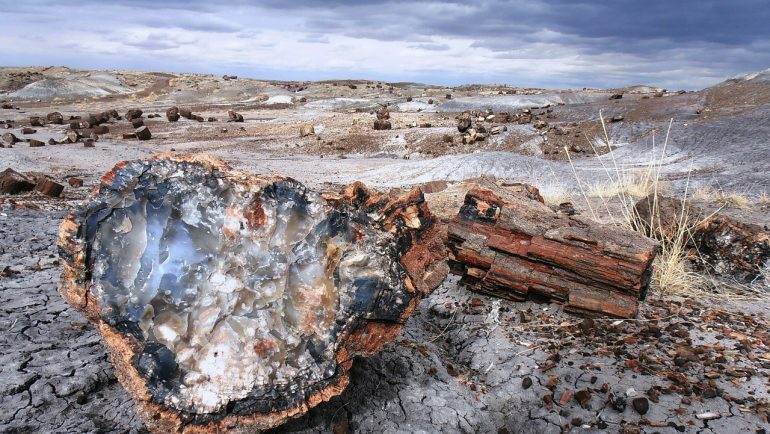 The tree logs in these areas have been infused with quartz, amethyst, and a myriad of other precious stones that give off a unique palette of colors. Unfortunately, travelers have been stealing from this natural treasure, so many of the best samples ave been lost. Don’t be like the others! We’re going underground with this one! Seriously, though. 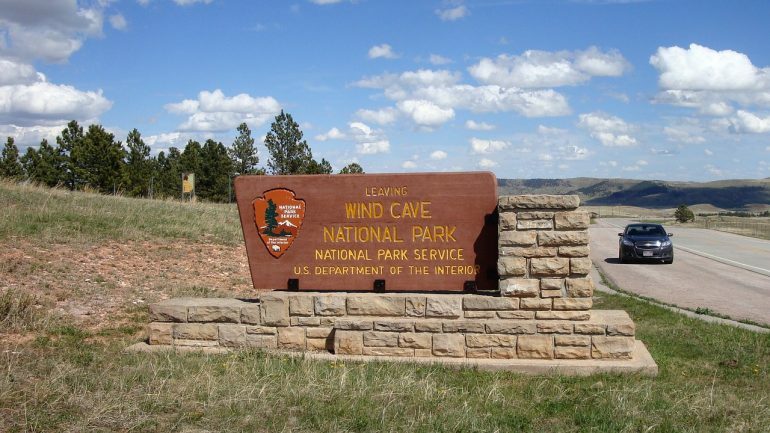 We’ve seen lots of awesome national parks over the years, but have you ever heard of an entire system of caves turned into a national park? Neither did Theodore Roosevelt in 1903, so he just went ahead and established the first one in the entire world. The cave has at least 220 km of explored passageways, though obviously, you wouldn’t want to get lost inside. It’s worth to mention the unique “boxwork” mineral structure within the caves, that give them the appearance of a honeycomb. A guided tour of the place will fill you with wonder, though the outside is just as cozy to explore. Keep an eye out for the roaming bison! Which awesome national parks have you visited or plan to visit in the following months? Tell us in the comments! Yellowstone, Redwood, Petrified Forest, and King Canyon National Parks are all ones that I have seen before. If you like nature, then visiting America’s National Parks is the way to go! Are you coming to the US soon Agness? Yes! I should be around the Midwest by then (Michigan, Wisconsin, and Minnesota area) if all goes well. 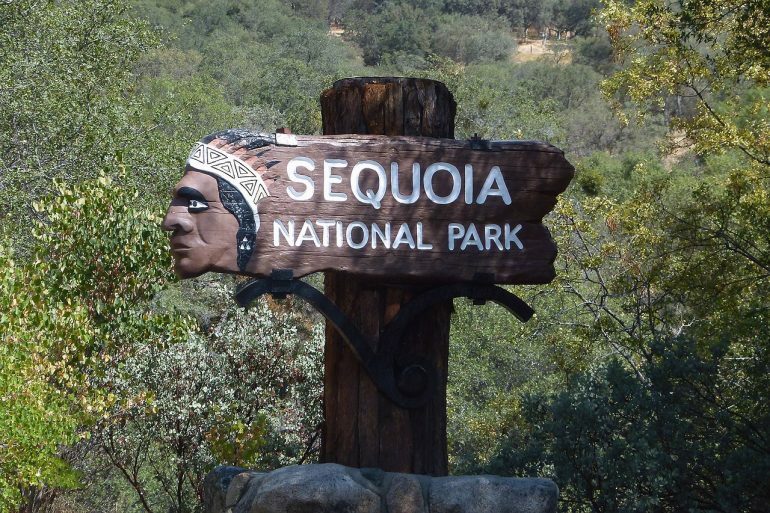 I’ve lived in America for all my life but haven’t visited any of these national parks yet! Definitely need to get out more 😉 Thanks for this awesome list! You’re welcome, Kim. Hope I’ve inspired you to start visiting them! This list is 100% on point! 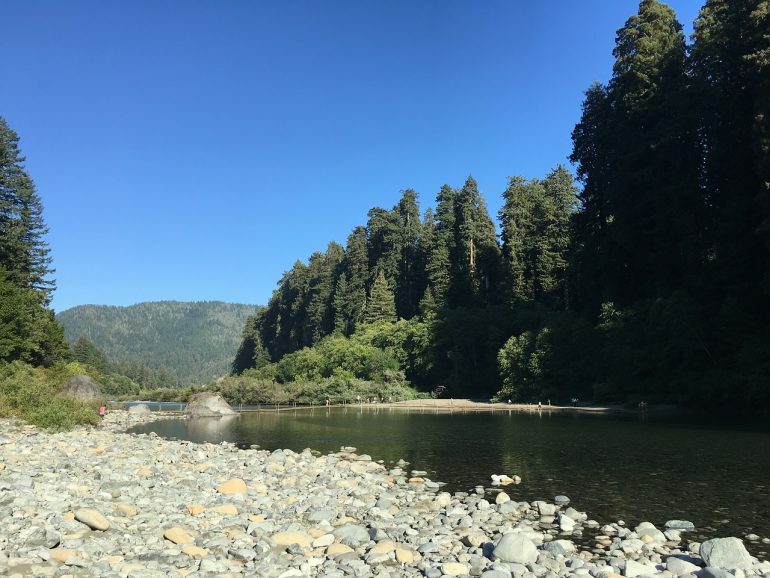 I LOVE the Red Woods, and I just read an article about camping in Zion that made us want to book a trip ASAP! I love that these are all right here in the U.S., so they’re easier to plan for and we know we can make it there sooner rather than later! Awesome compilation. 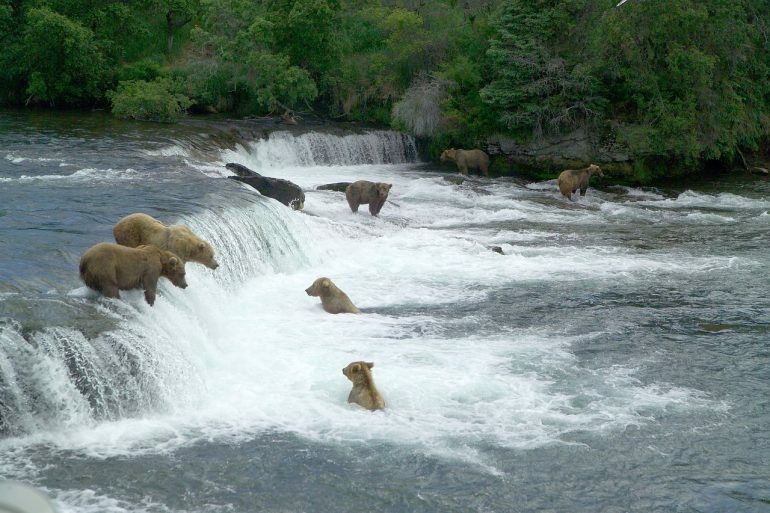 My favourite would be the Katmai National Park. Spotting brown bears in the wild must be a wonderful experience. Great article and tips! Keep it up and have more fun under the sun on our behalf!